Our guest this week is Virginia Richardson, owner of the organization company Your Life Edit. Through Your Life Edit, Virginia helps her clients tackle clutter and chaos in three areas: their homes, their closets, and their pantries. As Virginia says in this interview, she became interested in helping people declutter and edit their lives after she became a certified end-of-life doula. End of life doulas like Virginia offer healing, comforting care to individuals in their final days. Through this work, Virginia realized that all the “stuff” we accumulate is not only meaningless, but can hold us back from living our best lives. Virginia’s clients tend to be busy working parents, and in this interview, she gives advice on how to tackle the clutter in your home one step at a time (hint: clear bins are very important). 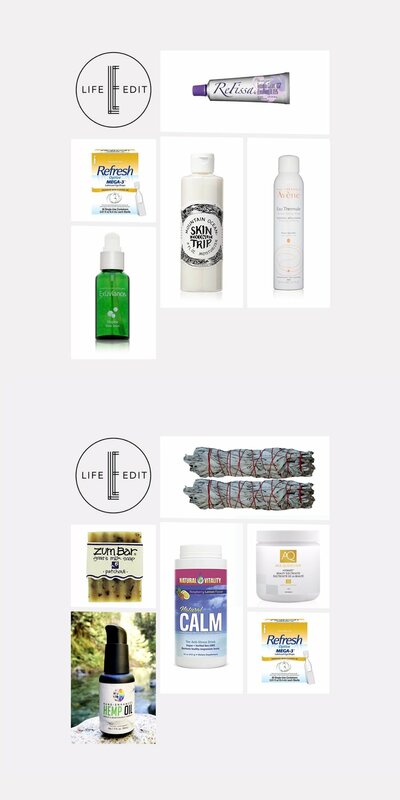 True to form, Virginia has a tightly-edited beauty and wellness routine with a focus on supplements (Virginia studied holistic nutrition at the University of Westminster School of Integrated Health). In this interview, Virginia told me about the Retin-A that won’t cause irritation, why using eyedrops can be as important as using undereye concealer, and the benefits of CBD oil. You can find Robin online at yourlifeedit.com or on Instagram @yourlifeedit.